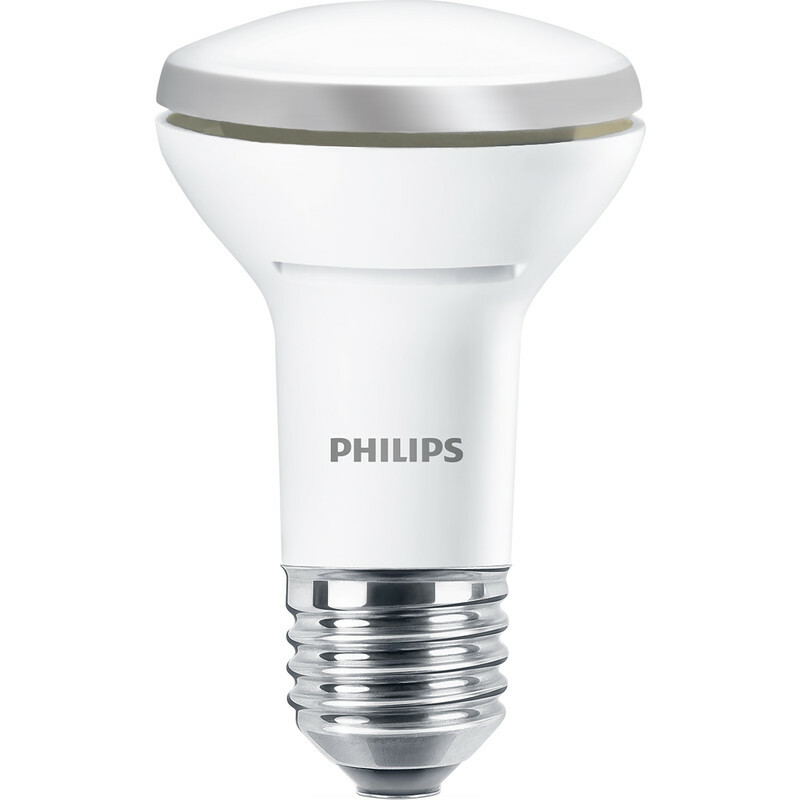 Philips R50 LED Reflector Lamp R63 2.7W ES (E27) 210lm is rated 4.2 out of 5 by 6. Rated 5 out of 5 by Tonybaloney from Does the job This is a replacement foe a 40w tungsten light. It is used as an automatic light on my electric garage door. Once opened, it light the way in side, whether it’s dark or not. Rated 5 out of 5 by Happy chappiee from Ideal replacement These bulbs are a ideal replacement for old style spotlights. Rated 5 out of 5 by Wild Bill from Good quality This light bulb seems more robust and well constructed than cheaper versions. Works well giving excellent light. Rated 4 out of 5 by DaveCh from Great price very bright dimmable bulb Good LED bulb, direct replacement for 40W halogen lamp but much less hungry! Very bright but beam angle not as wide as original halogen bulb (despite the specification suggesting to the contrary) but I'm getting used to it now! Rated 1 out of 5 by stupot80 from very very poor bought three , one lasted 5 hours, one lasted three minutes and one lasted about thirty minutes. not the 15000 hours it claims. toolstation were very good and refunded me my money, but it did cost me an hour of my time two days running a gallon of petrol.